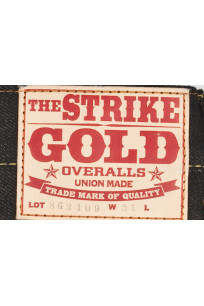 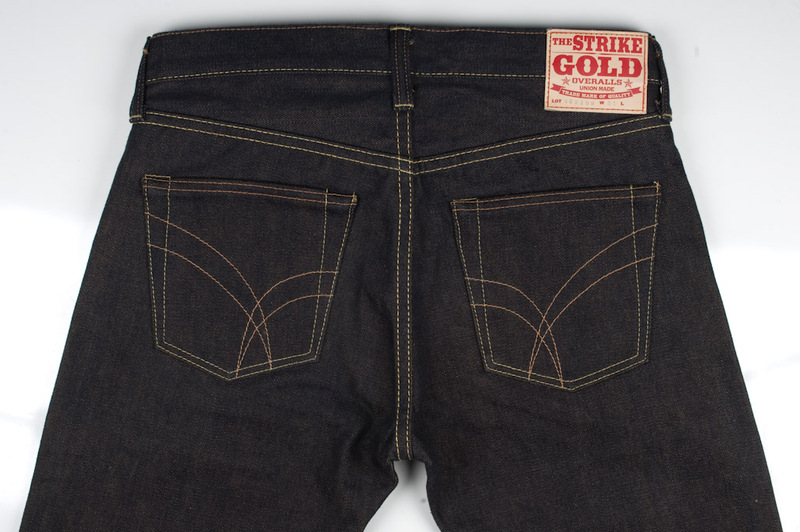 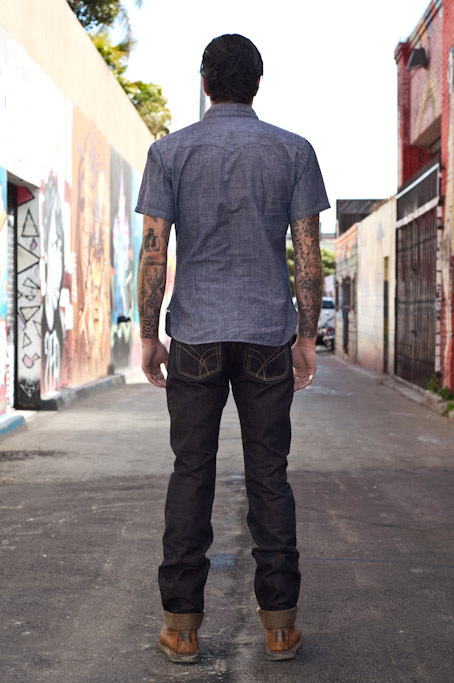 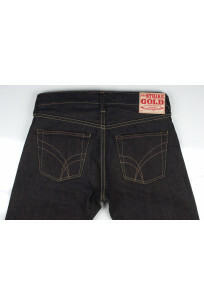 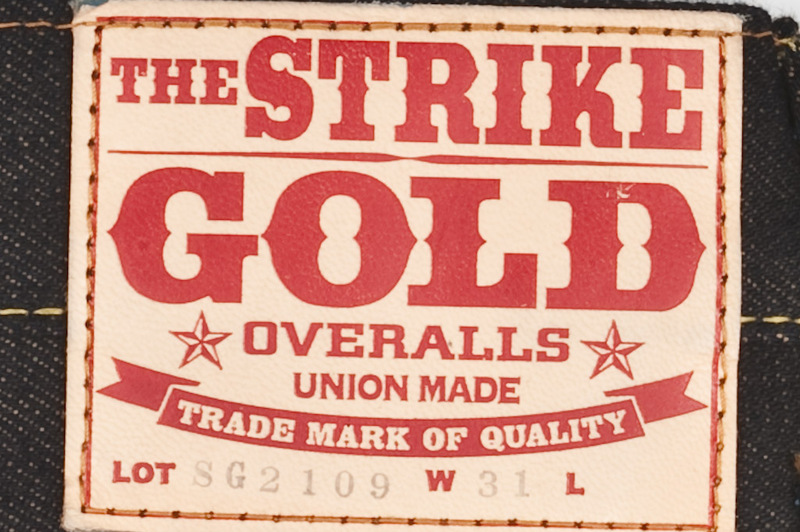 Strike Gold releases a new slim tapered fit in one of the most original looking styles of denim we've seen. 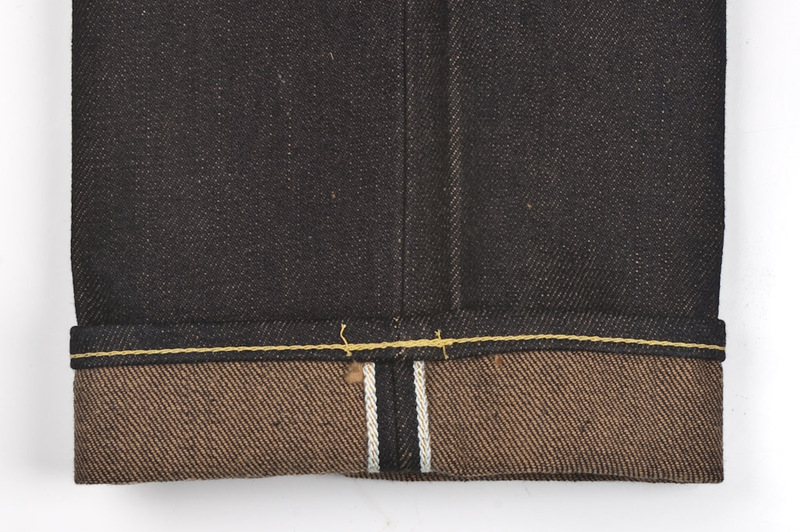 They start with a pure indigo dyed thread for the warp (top threads) and a beige mud dyed thread for the weft (bottom threads). 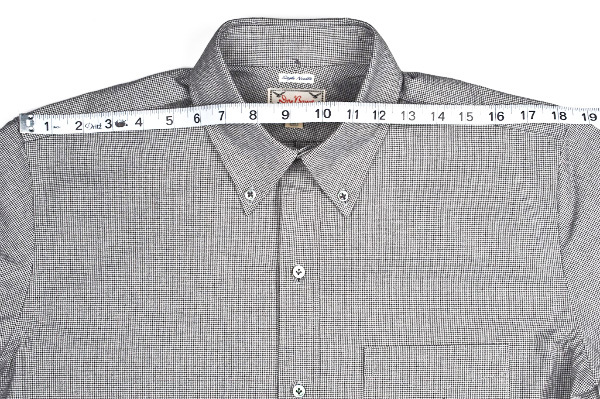 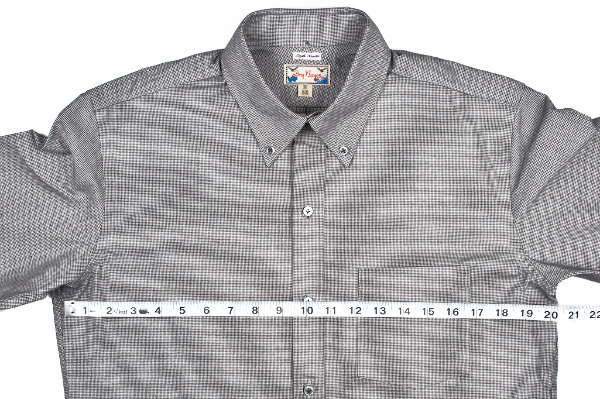 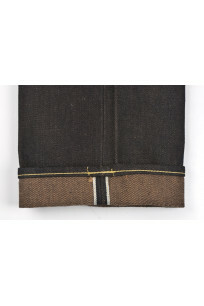 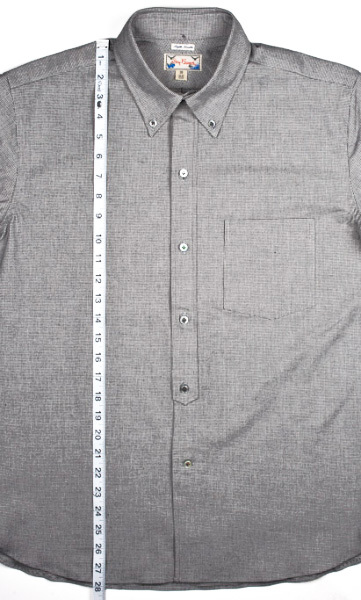 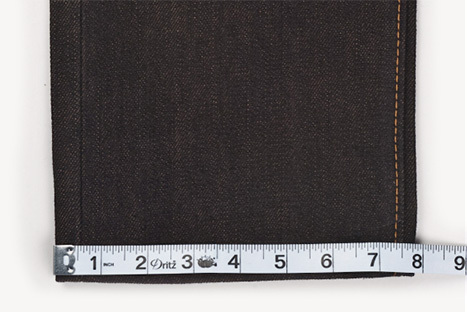 The jean looks like an indigo colored denim jean but has a slight beige hue to it from the weft threads peaking through the indigo warp threads. 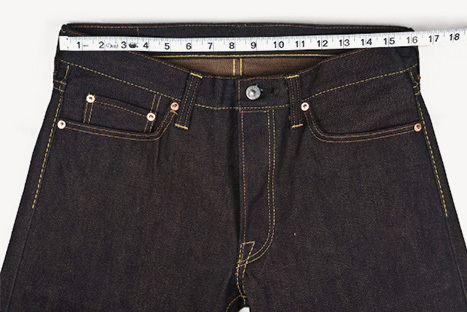 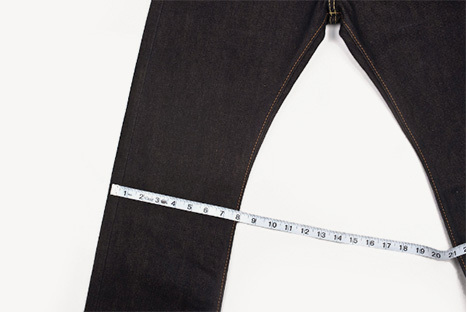 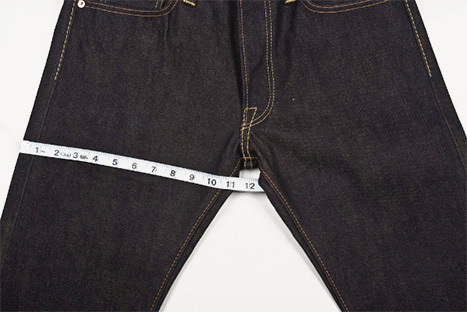 They've upped the weight to 17oz and it comes in loomstate form, due to the abrasive nature of the denim when raw the jean will age faster than most jeans and yield an high contrast fade with normal wear. 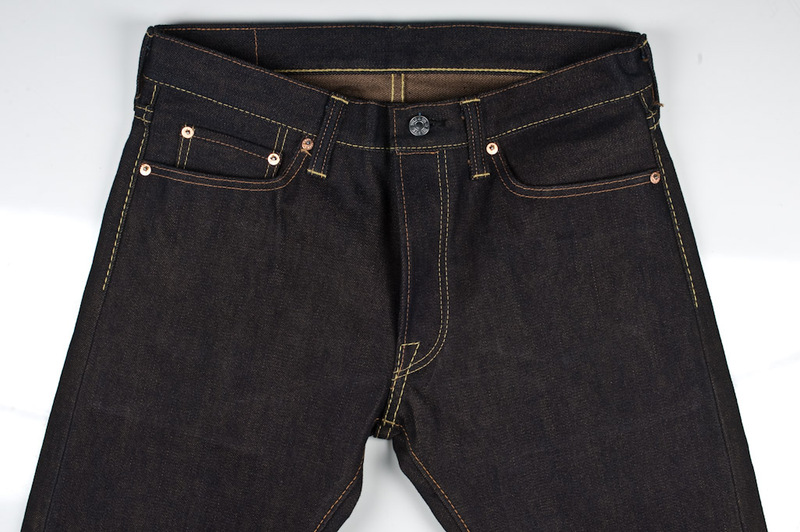 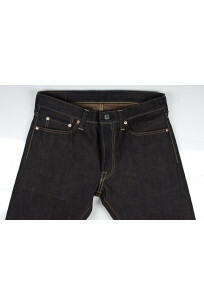 The SG2109 jean is a slim leg fit that's got a medium rise and is slim from the top and tapers a hair just below the knee.The jean has a burly feel to it at first due to the rigid denim that comes in it's loomstate form, after a warm water soak the denim opens up a bit and begins to soften with wear. 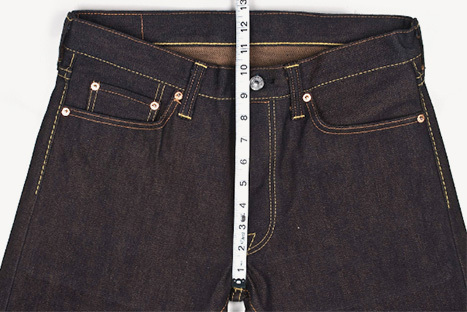 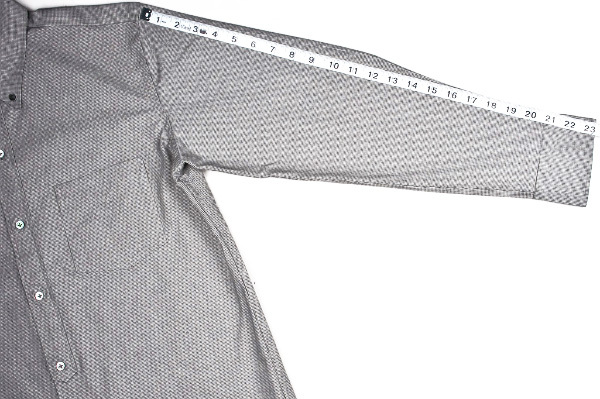 Inseam 37" 37" 37" 37" 37" 37" 37" 37"
Thigh 10.9" 11.2" 11.5" 11.9" 12.2" 12.5" 12.8" 13.1"
Knee 7.1" 7.4" 7.8" 8" 8.3" 8.5" 8.6" 9.2"
Leg Opening 6.8" 7" 7.4" 7.7" 7.9" 8" 8.1" 8.9"
Front Rise 9.8" 10" 10.1" 10.3" 10.5" 10.7" 11" 11.4"